MINES minister Winston Chitando allegedly orchestrated shady business dealings and presided over the misuse of a US$115,5 million loan at troubled coal-mining giant, Hwange Colliery Company Limited, an external forensic audit says. The forensic audit by Ralph Bomment Greenacre & Reynolds — which also uncovers corporate governance failures, massive fraud and tax evasion at the partly state-owned company — further implicates former Hwange managing director Thomas Makore and senior executives in financial irregularities. Hwange was last year placed under reconstruction after extended periods of mismanagement, corruption and plunder. The audit says Chitando, in cahoots with senior executives, systematically manipulated and creamed off the company between 2016 and 2017 when he was board chair. The rot picked up by the auditors spanned three years to 2018. The Independent last year wrote a series of articles about a vicious fight for the heart and soul of Hwange Colliery pitting the Muskwe led board and Chitando. In June last year, Chitando asked the board to step down to allow him to appoint new board members, but the board refused to do so after getting the solid backing of other shareholders. The board, which also suspended company directors Shepherd Manamike and Tawanda Marapira, who are implicated in the audit argued they could not leave in the middle of an audit. The two signed some of the corrupt deals. President Emmerson Mnangagwa’s name was last year dragged into the Hwange Colliery mess after it emerged that shadowy character Sherphered Tundiya had usurped the power of the board, and effectively took over control of the coal-miner using the head of state’s name. He forced the Hwange board to reinstate Marapira arguing his parents were Mnangagwa’s neighbours and also once summoned and intimidated Muskwe at State House. The auditors also accuse Chitando of presiding over the unprocedural hiring of contractors, influencing management to authorise irregular transactions and routinely single-handedly hiring senior staffers without following human resources requirements. Ralph Bomment Greenacre & Reynolds senior auditor, Terrence Muza, confirmed the audit — which was sanctioned by the disbanded Hwange board chaired by Juliana Muskwe early last year. Muza, however, declined to give further details for professional reasons. “We completed the audit and handed over to relevant authorities. The rest is up to them,” he said. Chitando did not answer repeated calls from the Zimbabwe Independent. He also did not respond to WhatsApp and text messages seeking comment on the allegations. The audit questions how the company handled a US$115,5 million loan which government, the major shareholder, extended to Hwange during Chitando’s chairmanship in 2016. This, auditors say, came during a period when Hwange was experiencing some improvement in revenue inflows, which attracted a standoff between the board and management. “The foregoing standoff continued after the chairman was appointed Minister of Mines and Mining Development (Walter Chidhakwa). In August 2018, the board appointed Ralph Bomment Greenacre & Reynolds to perform a forensic investigation into the HCCL affairs and report to the board. After attempts to hold an Extraordinary General Meeting to fire the board failed, the minister placed the company under administration on the grounds that the company had failed to repay a loan to the Government, among other issues of insolvency. The said loan was made by government to the board led by him before he was appointed Minister of Mines and Mining Development. So, the substance on the ground is that government gave the loan using its right hand and the left hand was managing the loan. Other shareholders were not involved in the board at all and had no influence whatsoever, in how the loan was to be applied,” the audit says. 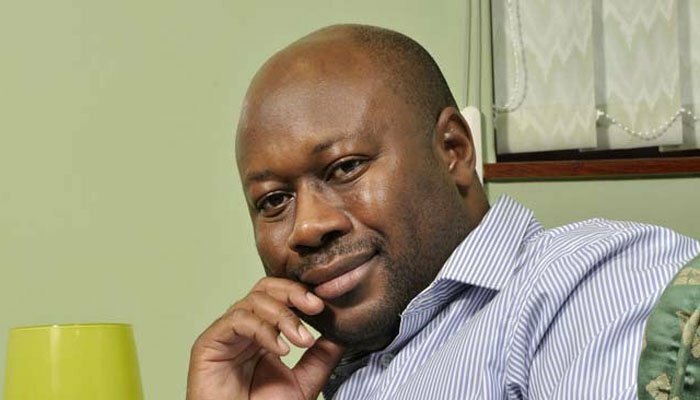 Chitando, who at the time was also doubling as Hwange chairman and executive chairman for Zvishavane-based platinum-mining company Mimosa, is further accused of “cross-pollinating” dealings between the two companies as he would from time to time ensure that firms doing business with Mimosa also got lucrative contracts with Hwange, creating a messy conflict of interest. The audit also raises the red flag over controversy surrounding Inductoserve Investments (Private) Limited (Inductoserve), a transport company, which irregularly got lucrative coal trucking contracts from the mine. Although the auditors could not locate Inductoserve’s directors for interviewing and questioning, their report implies Chitando may have had a vested in the trucking company. Inductoserve, the audit says, was initially Hwange mine doing business with Mimosa before Chitando introduced it to Hwange. However, the audit says the local Inductoserve did not explain and clarify its relationship with South Africa’s Inductoserve Logistics, which transports bulk goods such fuel, coal, grain, coils, engineering parts and mining equipment in that country and within the Sadc region, to do the job. It later appears from transactions and payments that the two companies were doing business together, although it is not clear how they are related to each other and the deal was structured. The local Inductoserve’s head offices were located in Gutu, Chitando’s rural home district. It also had other offices in Newlands in Harare, a stone’s throw away from Mimosa’s offices where Chitando was based. What is relatively clear, though, is that the local Inductoserve was doing business with South Africa’s Inductoserve Logistics, which transports bulk goods such fuel, coal, grain, coils, engineering parts and mining equipment in the country and within the Sadc region. “The 2016 to 2017 period, HCCL Chairman Mr Winston Chitando was a serving executive chairman of Mimosa, a mining company in Zimbabwe. Any risks of using confidential information or protected strategies or information protected by work product doctrine of Mimosa in HCCL, it would appear, rests with HCCL and Mr Winston Chitando if any (i.e use of unauthorised Mimosa tactics in HCCL including importation of suppliers identified by Mimosa into HCCL, for example Inductoserve (Private) Limited, a transport company). Companies and persons who had something to do or some link with persons who had something to do with Mimosa got lucrative contracts in HCCL, particularly in haulage and insurance,” the audit says. It further notes that the shadowy state of Inductoserve and its arrangements raised the possibility that the deal was specially designed to conceal tax evasion and siphoning of funds. The company’s trucks, the audit says, had Zimbabwean registration numbers, while relevant transactions and payments were locally through a local bank in Harare. The audit says the dodgy arrangements point to possible money laundering. Two Hwange directors, Shepherd Manamike (engineering) and Tawanda Marapira (finance director and administration), signed the contract with Inductoserve on behalf of the mining company without the involvement of South African exchange control authorities. This was in contravention of exchange control regulations, the audit says. “Mr Manamike and Mr Marapira signed Inductoserve contract whose payments in the absence of Exchange Control of South Africa constitutes contravention of Exchange Control as proceeds due to a South Africa Inductoserve were retained in Zimbabwe at Standard Chartered Bank in Newlands. Contracting Inductoserve, a South African company, and making payments to that company into a Zimbabwean bank account give rise to money laundering questions,” the audit says. “So we have a South African company that is invoicing under Inductoserve (Private) Limited of 9042 Industrial Site, Zambezi, Gweru, whose VAT number is 10053013. There is also a company called Inductoserve whose registered office is Matsa Store P.O Box 119 Gutu, Zimbabwe,” it adds. “That company is used in the process of aiding a South African company Inductoserve to not pay proceeds from business conducted in Zimbabwe to its South African banks where the company is domiciled. Exchange control issues arose from the use by a Midrand-based company offering haulage services to HCCL, utilising a bank account at Standard Chartered Bank located at Newlands in Harare. “HCCL should stop payments to Inductoserve for breaking VAT Law by using another company’s Tax Clearance certificate to process payments due to a South African company until South Africa Revenue Services clears Inductorserve of South Africa about possible tax evasion. “The proximity of the bank where proceeds are banked at Standard Chartered Bank at Newlands, Harare, to Mimosa’s offices also in the Newlands environs, creates uncertainty about the chairman’s independence to Inductoserve. The fact that Inductoserve serves Mimosa as well, further compounds issues of independence. The audit further points out given the intricate web of murky issues involved and a cloud of corruption hanging over the company, Moyo must stop making payments to Inductoserve immediately. “HCCL should stop payments to Inductoserve for breaking VAT Law by using another company’s Tax Clearance certificate to process payments due to a South African company until South Africa Revenue Services clears Inductorserve of South Africa about possible tax evasion,” it says. Most parastatals and state enterprises have been destroyed through mismanagement, corruption and incompetence. “Most parastatals and state enterprises have been destroyed through mismanagement, corruption and incompetence.” more recent van Hoogstraten spoke of this, but because the acts/practices cited in the quote are held HOLY in Zimbabwe, the rot will never end. When Anglo American ran Hwange Colliery it produced 5 million tons of coal per annum – made a profit and paid income taxes. As soon as ZANUPF took over it fell into a hole – paid no taxes and produced very little coal. The ZW circus rolls on and on and when are the smart people in ZW ( and there are plenty of them) going to wake up to realise they have to do something.